You were not born with them. That might make them harder to love. You weren’t meant to look like this? It’s not how you were designed? Your body was given to you to be used and much like a worn car, it gets bumps and dents. You can look at these alterations as imperfections or you can look at each coffee stain as a memory. You can look at each scar as a gift. 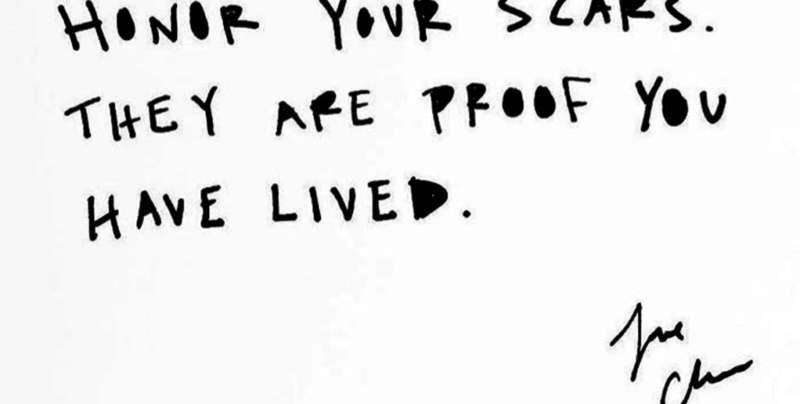 I could cry thinking about how much my scars have given to me. Many moons ago, I would be crying for a different reason. But now I see their beauty, I’m never going back. They gave me my life. Without them, I would have paid the ultimate price for a perfect body – death. No use having a pretty body if you are no longer in it.